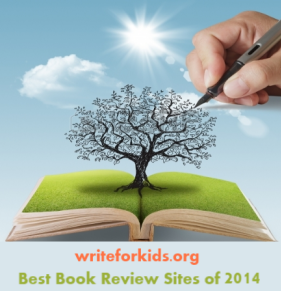 This reviewer received a copy from the publisher. People have been duped by hoaxes and scams since time began. We’ve had the Feejee Mermaid (1842), The War of the Worlds (1938), Alien Autopsy (1995), and The Beatles famous Paul is Dead (1968). Why, P. T. Barnum made his fortune promoting celebrated hoaxes! In our present day, we have Bernie Madoff, whose 2008 Ponzi scheme was the biggest in financial history, and in 2009 there was the Balloon Boy’s Prank. Nonfiction writer Jim Murphy, in The Giant and How He Humbugged America, has written a thoroughly engaging book on one of the most famous hoaxes in the United States: The Cardiff Giant. It was the talk of the nation from its discovery in October 1869 until the truth was uncovered in January of 1870. (Murphy was the 2004 Sibert Medal winner for An American Plague: The True and Terrifying Story of the Yellow Fever Epidemic of 1793, another example of his fine nonfiction writing). It all began on October 16, 1869 on a small farm in Cardiff, New York. William (Stub) Newell hired his brother-in-law and three other men to dig a well on a patch of dry land ten feet from the barn. After three hours of backbreaking work digging and moving stones, one of the workers, “had hit something solid.” Soon, after some frantic digging they discovered a blue-gray stone that was shaped exactly like a foot. “A very large foot!” In a matter of minutes they had uncovered the whole body, all 10 feet, four inches of it. At first someone suggested the body might be an ancestor of the Onondaga Indian tribe that had once lived in the area. “The men had grown up hearing Onondaga stories about the Stone Giants, very tall creatures that terrorized the region in the distant past.” Since Newell’s farm was on the route to Syracuse, within a few hours of their discovery word had spread about the body. On Sunday, October 24, 2,300 people came to see the giant. Murphy does an excellent job placing this hoax firmly within the context of history at that time. The Civil War had ended just four years prior, the Industrial Revolution was just getting underway, and New York City was under the corrupt influence of William “Boss” Tweed. (Think Tammany Hall) People were looking for something to lift their spirits. Some were led to believe that the Cardiff Giant was one of the giants mentioned in the Bible. Many Cardiff residents took the good book literally and believed the story of David and the giant, Goliath. Of course, all good things must come to and end. By January of 1870, just two months after its discovery, the public would learn the truth behind the Cardiff Giant, named for the town where it was found. 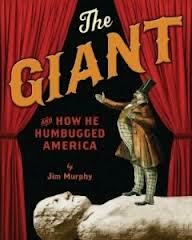 Display The Giant and How He Humbugged America with Tom Thumb: the Remarkable True Story of a Man in Miniature by George Sullivan, The Great and Only Barnum: the Tremendous, Stupendous Life of Showman P.T. 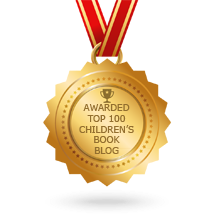 Barnum by Candace Fleming, Duped! : True Stories of the World’s Best Swindlers by Andreas Schroeder, A Drowned Maiden’s Hair by Laura Amy Schlitz, and Selling Hope by Kristin Tubb. Great minds think alike ;) I reviewed the same book today.